1) Hypoallergenic: Medical acrylic adhesive with hypoallergenic property. 2) Operability: The surface of tape is covered by non-adhesive grid paper, unwinding easily and any sizes by cutting available. 3) Stickiness: With good stickiness, contact to skin softly and comfortable, suit to any parts of body, no displacing and slipping. 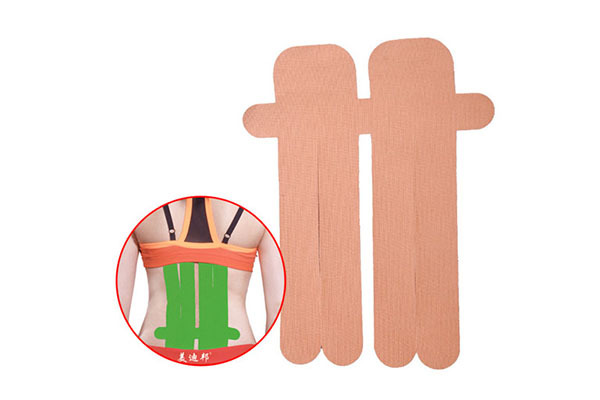 4) High Strength: Soft cotton fabric with good tensile strength, the tape can effectively adjust the support force for bound parts of body. 5) Breathable: With special S striation or straight grain on the adhesive surface and cotton fabric with good breathable, skin can respire and perspire freely. 6) Adaption: With good waterproof and sweat resistance, the tape can be applied in any movement environment. 1) Sports protection: Widely used for the protection/ supporting /binding up in sport. 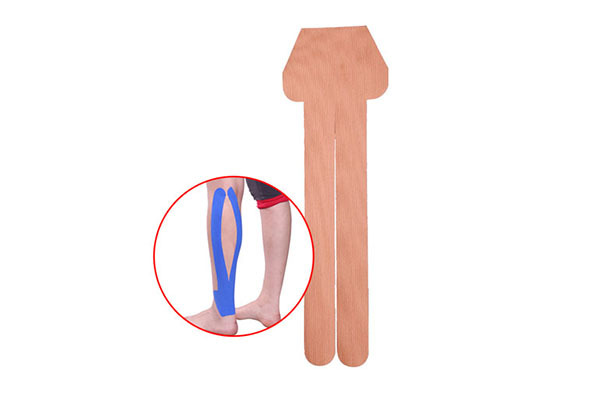 Its main functions are to increase the support force, reinforce the joints, restrict the movement range of the joints /muscles effectively to prevent pulled muscle. 2) Muscle physiotherapy: Treatment of sports injury, cruciate ligament injury, pulled muscle, shoulder & neck strain and joint sprain, increasing the space between subcutaneous tissue and sarolemma, helping lymph circulation, improving metabolism and the body’s natural healing power, relieving soreness and swelling of muscle and traumatism. Color available: Red, Blue, Pink, Black, Skin.